Something recycled, something repurposed, whether it’s a milk jug turned in to a scoop, or a tin can made in to a pencil holder. Maybe your kids planted some trees to help the environment, or maybe you did. There are tons of ways to get greener in everyday life. Today we are showing off our creations to celebrate Earth Day 2013. What are you doing to be a little greener in everyday life. Personally my mom and I plant a garden every year and grow our own veggies for our Guinea Pig Parade, (we have 6 guinea pigs) but the weather is a little yucky to plant still. So I needed a back up plan. 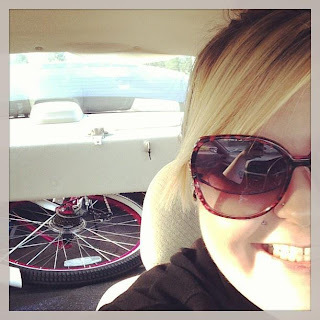 We generally recycle a lot in everyday life, but I am planning to ride my bike to school instead of driving. I just well have to relearn how to ride my bike. I made a layout around riding my bike. I am planning a long bike ride Wednesday so maybe I’ll get some great pictures along the way. Any way here’s my Layout. 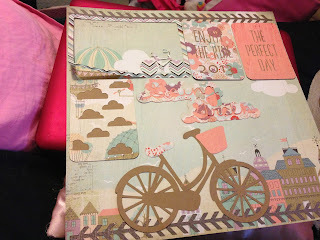 I used some project life cards, and all the files came from the silhouette online store. 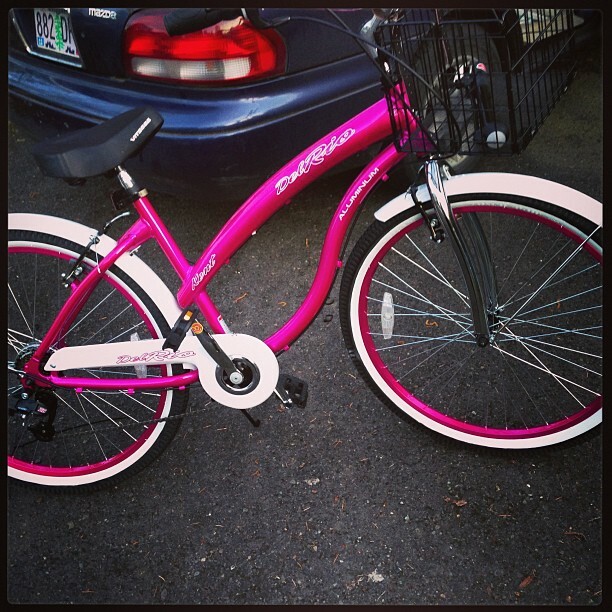 I typed in bike and found this cute little bike, which mine is a cruiser style bike and I have a basket too. Heres a few pictures im going to add to this chapter of my life. I got my bike a week and a half ago. For two reasons one, to exercise, and two so less driving. a goodie pack from my Etsy Shop. a bundle of Green Jute twine, some gold shimmer twine, green rhinestones, and green jute ribbon. Head on over to the etsy shop to have a look at the ribbon, twine and more I sell. Cute LO! 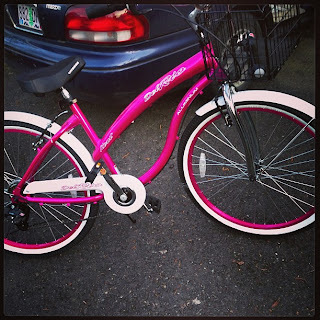 Love your pink bike!! Go green! Cute Layout!! Thanks for letting me be part of your hop!! Cute bike and a fun layout! What a great idea to save fuel AND stay healthy! Love the little splash of color on the seat and basket. So very cute! Your bike is very pretty. You'll have to make some handle trim with the twine. I recycle aluminum cans and paper (mail, etc). I get the newspaper online so I'm saving a lot of paper there. Hope you enjoy your bike. So glad to be in this hop with you!! I would love to be able to ride a bike where ever I go buttttttt... I live in the country and many miles from everything.. Great idea! Thanks for letting me hop with you! Great idea, I think the bike will be great and add more LO for your book. Love the way you started with the recycled paper. TFS. Good luck with the bike ride. Have checked how long it will take? We get so use to zipping around in the car. Love your layout & going green biking project too! I like you your bike a lot!